Known for its many Native American ruins. The route described here follows the main Beef Basin Road and features many outstanding Native American ruins, as many as you can possibly see in a single day. If your interest is cliff dwellings, you’ll need to camp several days or longer and take daily hikes into the backcountry. 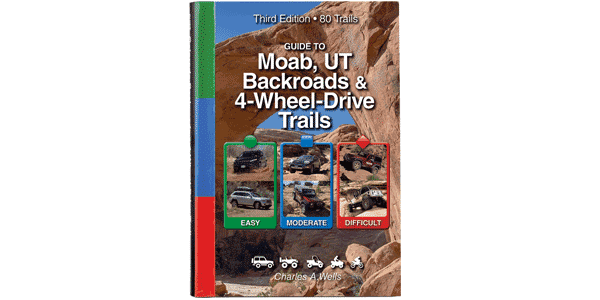 The route described here is entirely on BLM and national forest land where unlicensed vehicles are permitted. Not so if you take the alternate exit through Canyonlands National Park (see Trail #66 for day-use permit requirement). Stay on marked designated routes at all times. It is a federal crime to remove artifacts or alter historic sites. When dry, the road is usually in good condition; however, in wet weather it can be rutted and muddy. Snow can linger in the forest at higher elevations through April, and early fall snowstorms are possible. Suitable for most stock, high-clearance 4x4 SUVs.